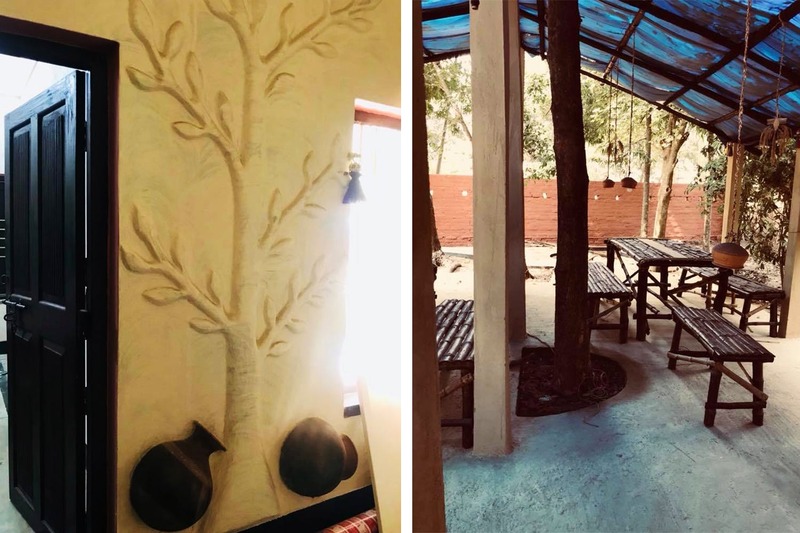 Next time when in Shantiniketan, stay in a mud house, relax in a tree house and pick up some mad pottery skills. Wondering where all these are available? Head to the charming Saraikhana near Prantik. Close to Prantik station, this garden retreat will take you in to an idyllic world of nature and art. Spread across 10 acres of land, Saraikhana is mud house B&B that has a dorm, a double bedroom, a spacious verandah and a studio. Owned by an artist and painter, Sourav Samanta, there’s lots of great art on the walls — from mud carvings to installations. And there’s an adjoining café that serves healthy organic food. Staying in an artist’s den with a pottery workshop, it would be silly to not pick up some skills. It runs on all days – from learning to knead the clay to forming its shape on the potter’s wheel, they will teach you all this for INR 5K to 7K. If you want your artefacts to be furnaced and glazed, then they’ll do that too and deliver it your place in the city. Besides this, Saraihana also has a tree house that’s 20ft above ground and remains tucked under the shade of a tree. Made entirely out of wood and bamboo this place could be your spot to enjoy the cool summer rain or an intimate dinner. The easiest way to reach Saraikhana is to take a train from Howrah that goes to Shantiniketan and get down in the Prantik station. From there it is just five minutes away.